Freddie Mercury was born Farrokh Bulsara on Thursday September 5th 1946 on the small spice island of Zanzibar. His parents, Bomi and Jer Bulsara, were both of Persian descent. His father, Bomi, was a civil servant, working as a High Court cashier for the British Government. In 1954, at the age of eight, Freddie was shipped to St Peter's English boarding school in Panchgani, India, about fifty miles outside Bombay. It was there his friends began to call him Freddie, a name the family also adopted. As St Peter's was an English school, the sports played there were typically English. Freddie loathed cricket and long-distance running, but he liked hockey, sprinting and boxing. At the age of 10 he became a school champion in table tennis. Freddie was not only a good sportsman, his artistic skills were incomparable. At the age of twelve he was awarded the school trophy as Junior All-rounder. He loved art, and was always sketching for friends or relatives. He was also music mad and played records on the family's old record player, stacking the singles to play constantly. The music he was able to get was mostly Indian, but some Western music was available. He would sing along to either and preferred music to school work. The principal headmaster of St Peter's had noticed Freddie's musical talent, and wrote to his parents suggesting that they might wish to pay a little extra on Freddie's school fees to enable him to study music properly. They agreed, and Freddie began to learn to play the piano. He also became a member of the school choir and took part regularly in school theatrical productions. He loved his piano lessons and applied himself to them with determination and skill, finally achieving Grade IV both in practical and theory. In 1958, five friends at St Peter's - Freddie Bulsara, Derrick Branche, Bruce Murray, Farang Irani and Victory Rana - formed the school's rock'n roll band, the Hectics, where Freddie was the piano player. They would play at school parties, at annual fetes and school dances, but little else is known about them. In 1962, Freddie finished school, returned to Zanzibar and spent his time with friends in and around the markets, parks and beaches. In 1964, many of the British and Indians, due to political unrest in Zanzibar, left their country, although not under forcible pressure, and among those driven out were the Bulsaras who migrated to England. Initially they lived with relatives in Feltham, Middlesex, until they were able to find their own small, terraced house in the area. Freddie was seventeen, and had decided he wanted to go to art college, but needed at least one A level to ensure he could get in. During vacations he took a variety of jobs to earn some money; one was in the catering department at Heathrow Airport, a stone's throw from home, and the other was on the Feltham trading estate, where he had a job in a warehouse lifting and stacking heavy crates and boxes. His fellow workers commented on his 'delicate' hands, certainly not suited for such work, and asked him what he did. He told them he was a musician just 'filling in time', and such was his charm that those co-workers were soon doing the lion's share of his work. He studied hard, although he preferred the aesthetic side of school life to the more mundane academic side, and easily achieved his Art A level, leaving Isleworth in the spring of 1966. His grade A pass and his natural skill ensured that he was readily accepted by Ealing College of Art and, in September 1966, Freddie began a graphic illustrating course at that college. After Jimi Hendrix exploded onto the scene in 1967, and Freddie became an ardent fan, he spent time sketching and drawing his hero; drawings he would frame and use to decorate the walls of his flat in Kensington, rented by his friend Chris Smith, where Freddie had moved from the family home in Feltham. At that time Kensington was an important place to be for the art crowd - it was the base of the famous Biba boutique and the home of Kensington Market, frequented by the then "in" crowd. A fellow student at Ealing College was bass player Tim Staffell, with whom Freddie became good friends. As Tim's and Freddie's friendship became closer, Tim took him along to rehearsals of his band called Smile, with Brian May on the guitar and Roger Taylor on the drums. Freddie got on famously with Brian and Roger and loved the sound that Smile had achieved; he also had immense admiration and respect for Brian's guitar-playing. Inspired by Smile, Freddie began to experiment with music for the first time since leaving India. He initially began to practice with Tim, another art student Nigel Foster, and with Chris Smith. "The first time I heard Freddie sing I was amazed," recounts Chris. "He had a huge voice. Although his piano style was very affected, very Mozart, he had a great touch. From a piano player's point of view, his approach was unique." "Freddie and I eventually got to write little bits of songs which we linked together", adds Chris. "It makes sense when you consider Bohemian Rhapsody. It was an interesting way getting from one piece in a different key signature to another. But I don't think we actually finished anything. Freddie certainly taught me a lot at those sessions. He had great, natural sense of melody. I picked that up straight away. For me it was the most interesting aspect of what he was doing. In April 1970 Mercury joined guitarist Brian May and drummer Roger Taylor who had previously been in the band called Smile. In 1971 they were joined by bassist John Deacon. 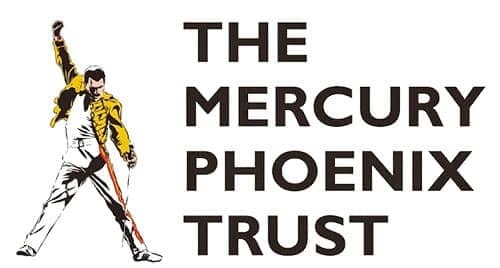 Despite reservations of the other members and Trident Studios, the band's initial management, Mercury chose the name "Queen" for the new band. He later said, "It's very regal obviously, and it sounds splendid. It's a strong name, very universal and immediate. At about the same time, he changed his surname, Bulsara, to Mercury and it is he who designed Queen's logo, called the Queen crest, shortly before the release of the band's first album. On the evening of 24 November 1991, Freddie Mercury died at the age of 45 at his home in Kensington. The official cause of death was bronchial pneumonia resulting from AIDS. Mercury's close friend, Dave Clark of The Dave Clark Five, had taken over the bedside vigil when he died. Mary Austin phoned Mercury's parents and sister to break the news of his death which reached newspaper and television crews by the early hours of 25 November.